Hey everyone! 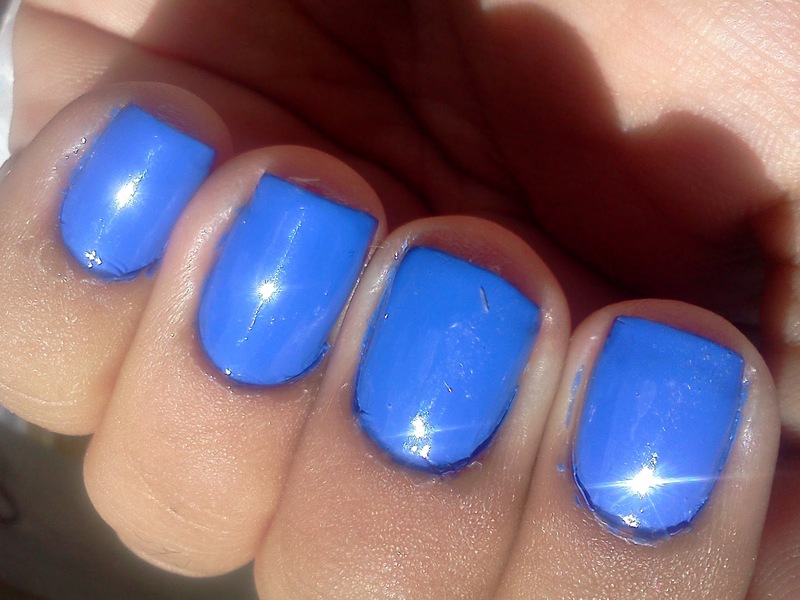 I've heard a lot of youtubers rave about this polish and that it's hard to find. I found it easily at Walgreen though and decided to try it out! Enjoy! *Enter my 100 Follower Giveaway! 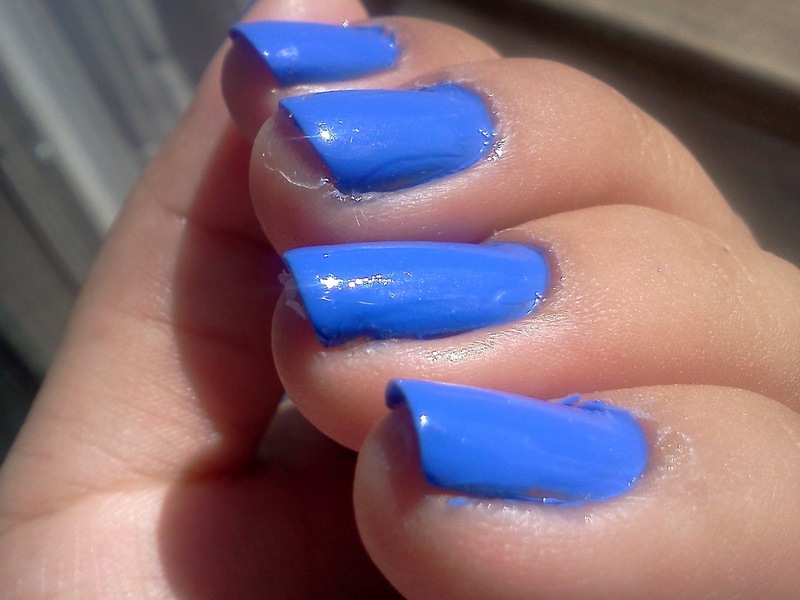 Pacific Blue is a super vibrant blue creme. 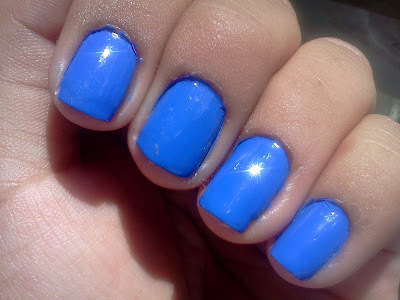 It is completely opaque in 2 coats and has a great formula. At first I didn't like this but when I stepped outside, I fell in love. This polish is so vibrant that it almost "glows" if that makes sense. My pictures don't do it any justice! I LOVE this one! Looks grear on you! I love love love this color! I have more blues than any other color. 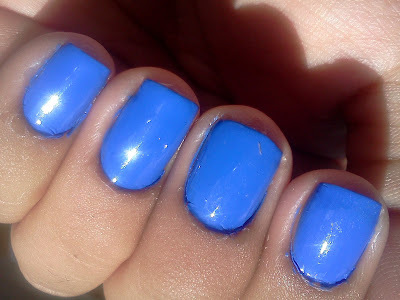 This is a gorgeous blue! Such a bright happy color!